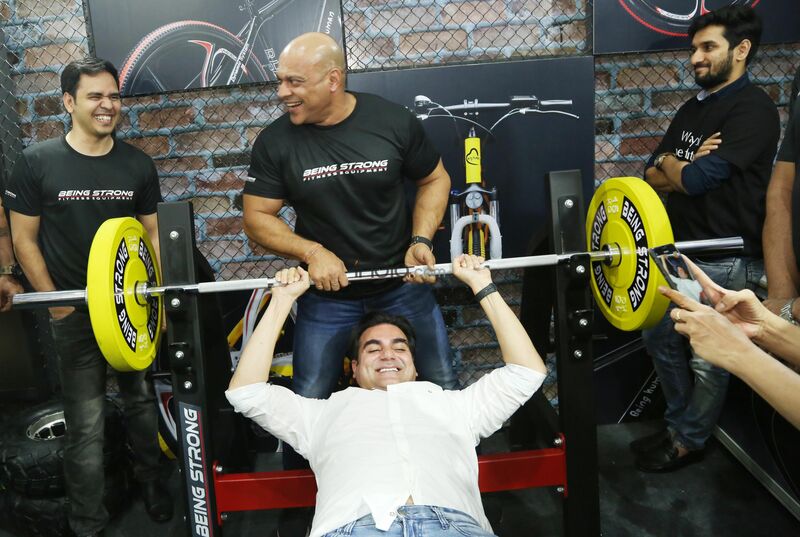 Salman Khan who keeps doing things for his fans and make their day special recently paid a surprise visit along with his rumoured girlfriend Lulia Vantur to Mumbai Marathon Expo. Fans went gaga to see the Bharat actor suddenly appear there. 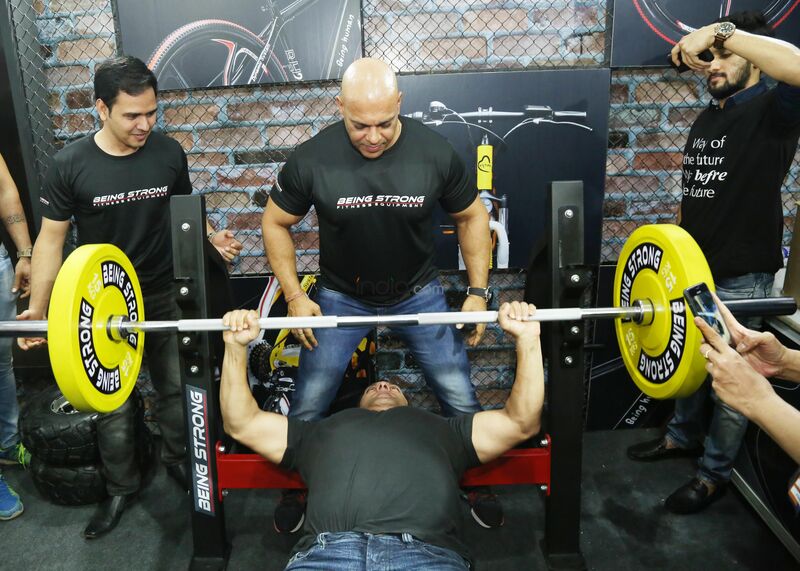 A Being Human stall was installed at the event and the three decided to pay an impromptu visit. 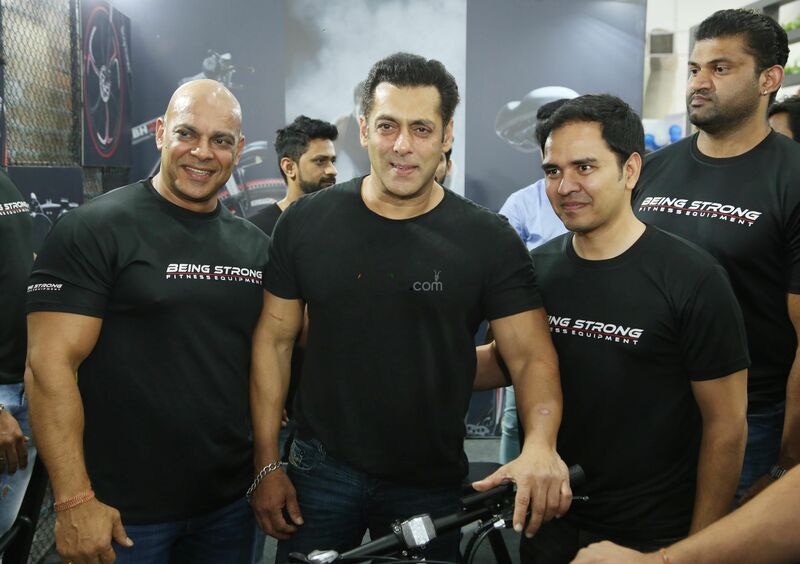 Speaking to Mid-day, Dilip Jayaram, chief executive officer of Procam International that organises the marathon, said, “Salman and Arbaaz decided to pay an impromptu visit to the Being Human stall. When the runners saw him, they thronged towards him for a picture. A wall caved in at the opposite stall. The situation was soon brought under control”. Salman will soon be seen in Bharat alongside Katrina Kaif. Showcasing their journey from 18 to 60 years, both the stars will have five different looks in the official remake of the Korean film titled, An Ode To My Father. Directed by Ali Abbas Zafar, the upcoming movie also features Disha Patani, Sunil Grover and Nora Fatehi in pivotal roles and is set to hit the screens during the Eid weekend in 2019. Not much has been revealed about the movie, but before Katrina joined the cast, it was actress Priyanka Chopra who had been signed on. Nikhil Namit, the CEO of Reel Life Productions had earlier revealed that Priyanka opted out because of her engagement to singer Nick Jonas.